Combine the flavors of cheesecake and a classic drink with Bourbon Cheesecake Shots. 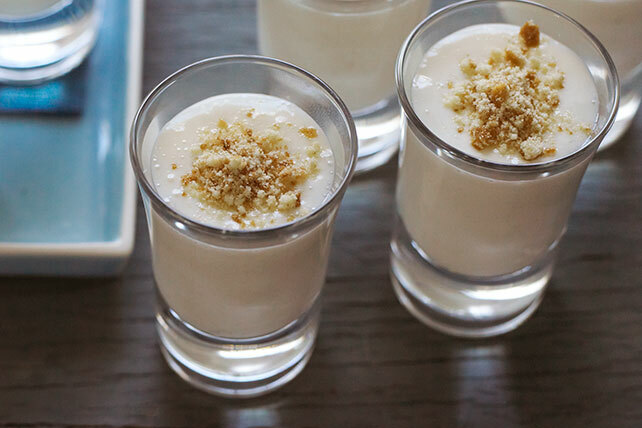 Bourbon Cheesecake Shots set a new standard for after-dinner drinks. Blend all ingredients except wafer crumbs in blender until smooth. Pour into 1-oz. plastic cups; top with wafer crumbs. Prepare using rum or your favorite liqueur. For a non-alcoholic version, substitute 1 tsp. vanilla for the bourbon.